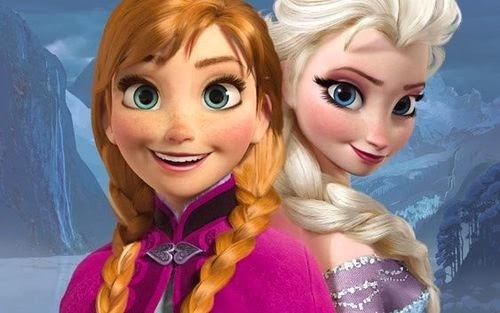 Walt Disney's Frozen hit Australian cinemas on Boxing Day and has been raking in the cash ever since. So far it's grossed more than $16 million dollars and remains at #2 in the box office charts behind only The Hobbit: The Desolation of Smaug. It's been a long time since Walt Disney's animated features were looking this healthy. Quite frankly it's been a long time since Disney's animated features were this good. Film historians refer to "the Disney Renaissance", a creative resurgence within the Walt Disney Animation Studios that saw the company scale commercial and creative heights with a string of hits starting with The Little Mermaid in 1989 and running through to Tarzan in 1999. This golden period of studio animation stumbled to its knees over the 2000s due a variety of factors: internal schisms within the Walt Disney company, an aggressive release schedule that saw the studio release too many films too quickly (seven animated features between 1999 and 2002, for example) and an industry-wide shift away from traditional animation to computer-generated images (CGI). On a financial level Disney was fine, since they distributed and later purchased Pixar Animation Studios, the outfit that drove the CGI animation industry and whose own films enjoyed a creative drive that equalled - and arguably surpassed - Disney's own. Creatively, however, Disney was in a fallow period. A few more traditionally animated features crept out - Atlantis: The Lost Empire, Home on the Range, Treasure Planet - while Disney's own attempts at computer animation didn't exactly inspire audiences. By the end of the decade things appeared to be changing. While 2009's The Princess and the Frog was a critical success, it under-performed in cinemas. 2010's follow-up Tangled was much more successful. It was a blend of Disney's traditional design aesthetics and contemporary CGI, it adapted a fairy tale in a fresh and interesting way, and it was marketed to perfection. Tangled ultimately grossed more money worldwide than The Princess and the Frog and its predecessor Bolt combined. 2011's Winnie the Pooh was an odd under-performer - it didn't even receive a cinema release in Australia - but 2012's Wreck-it Ralph was another massive hit, while the latest hit Frozen is continuing rake in money in cinemas as I write. It's already the second-highest grossing Walt Disney animated feature of all time, second only to The Lion King. Between them, Disney's last four animated features have grossed $1.7 billion dollars. Is it possible that we're watching Disney's second renaissance? The studio has scored three critical and commercial hits over the past four years, and to be honest in recent years the studio's films have actually been superior to Pixar. (No, really. Let's roll up our sleeves and have that argument if we have to - if you can honestly claim that Cars 2, Brave and Monsters University are as good as Tangled, Wreck-It Ralph and Frozen I will be very surprised. Even a critical darling like Up managed to flounder after its admittedly faultless first five minutes.) While studio rivals like Dreamworks and Universal might throw up the occasional worthy title - How to Train Your Dragon and Despicable Me both come to mind - the best animated films in America have all been coming out of Walt Disney Pictures. Why are Disney's films working so well at the moment? I think there are a few reasons. Reason #1: write what you know. This is common advice to all budding writers, and to be honest it applies equally well to film studios. Walt Disney built its kingdom on the back of fairy tales and adaptations of children's novels, and whenever the studio has strayed from that it's tended to flounder. Its first production was Snow White and the Seven Dwarfs, its second string of commercial hits kicked off with Cinderella and the third with The Little Mermaid. It's little surprise that it took adaptations of The Frog Prince and Rapunzel to kickstart Disney's fortunes. If Disney are smart, they'll be keeping an eye on Grimm and Anderson stories for future inspiration. Reason #2: story. When Disney purchased Pixar, they gained John Lassetter as Walt Disney Animation Studios head. While he put a lot of noses out of joint upon arrival, and made some fairly dubious decisions (bumping off Oscar-winner Alan Menken from The Princess and the Frog in favour of Randy Newman, for example), he did bring Pixar's trademark focus on story. Disney's recent animated hits have had stunning story development: they have tight narrative structures, strong characters with agency and satisfying climaxes. Reason #3: women. I'm always mildly surprised when Disney gets whacked by Internet commentators for poor depictions of women, because when you actually survey the whole of American film animation they're pretty much the only studio to base films around women at all. Yes they're invariably princesses of one form or another, but they're generally smart, resourceful and proactive. Take Frozen, for example, where the 'act of true love' that forms the film's climax is not between a man and a woman but two sisters. Rapunzel, Vanelope and Anna are all great characters, and sit confortably alongside the generations of Disney heroines that preceded them. It doesn't look as if Disney's winning streak is likely to end soon either: Big Hero Six hits in late 2014, adapted from a cult Marvel comic book, and Zootopia (directed by Tangled's Byron Howard) has been scheduled for 2016. For a look at the up-and-coming talent the studio has at its disposal you only need to look at the short films it's been placing in front of its features. 2012's Paperman, directed by John Kahrs, won Disney's first Animated Short Oscar since 1969. Get a Horse, which is running prior to screenings of Frozen, is a hot pick to win the studio its second Oscar in a row - and deservedly so. By all indications Disney has a solid future ahead of it, and has a second chance to sustain that high level of quality without overworking its creators or its audience. This is the 625th post on The Angriest. As is now my habit every 25 entries, I'd like to thank you for reading.